The holidays are rapidly approaching. This time of celebration and generosity often includes libations. LIQS has a convenient, although not eco-friendly, way to give the gift of cocktail shots. These single serve shots of premium cocktail shots were easeful to grab for a solstice party we attended; however, they are in plastic containers. Single-serve by nature cannot be good for the earth because of the packaging. We enlisted the finest tequila connoisseurs to blend the subtle spice of cinnamon with fresh orange to create an irresistible balance of spicy and sweet. You’ll never look at a tequila shot the same way again. By combining the cooling nature of cucumber with the citrus of lime, we’ve created an ideal mix to blend with our super premium vodka. The result? A light and refreshing cocktail shot perfect for any occasion. Originally made from vodka, triple sec and lime juice, the kamikaze has been a nightlife staple for years. We’ve infused ours with the finest citrus and a hint of natural vanilla that will surprise and energize your taste buds. We were also sent another fun libation for the holidays Manhattan Moonshine. 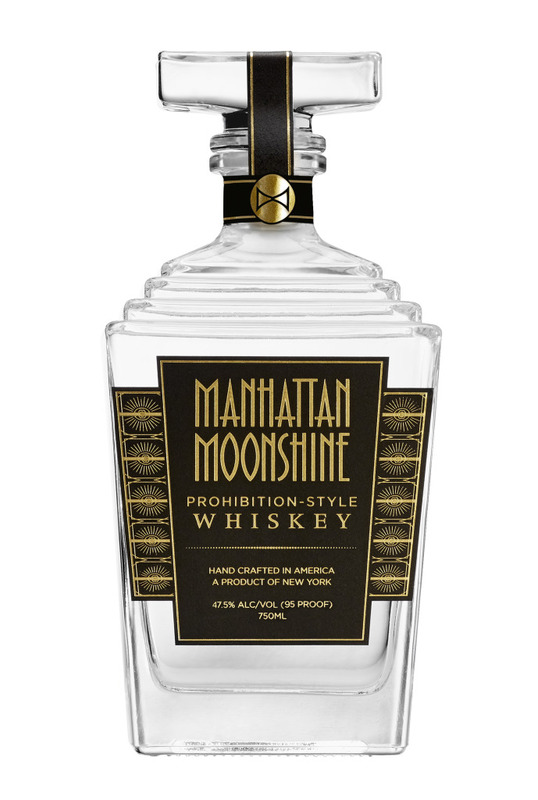 Manhattan Moonshine is a super-premium, Prohibition style, Northern Moonshine that has been crafted to be the world’s first luxury Un-Aged Whiskey. By using a unique blend of the finest New York grains, we have created a wonderful, complex Whiskey that does not need any aging to deliver its exceptional flavor. Combining innovative, modern production methods with sophisticated, vintage packaging inspired by the Prohibition era’s art deco style and exquisite parties, Manhattan Moonshine is a liquid embodiment of a bygone era of American elegance. I love the idea of having a Prohibition style party! Although we were sent small glass bottles of Manhattan Moonshine, this spirit does come in larger bottles. I can’t say there is anything eco-friendly about either of these products, but I accept all products for review clearly stating to companies that the review will focus on the green properties of the product.